Antiqued quarter sawn white oak with Empress Green marble top, base and columns. Hand carved Corinthian capitals. Hand blown glass basin. 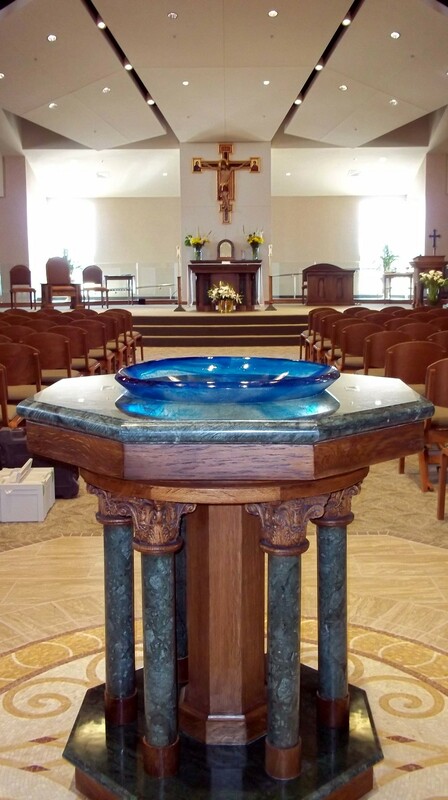 Tekton Woodworks designed and fabricated all the liturgical furnishings for St. Elizabeth Ann Seton Catholic Church in Bakersfield, California. Main materials were antiqued quarter sawn white oak and Empress Green Marble.